Window companies know that receiving and entertaining guests is one of the most important functions of your home’s living spaces. Whether you’re entertaining in a dining area, a home office or even your living room, having windows that provide plenty of character, lighting and style to the room can make things more comfortable. Are there specific window styles geared toward entertaining, though? We’ve listed three great window types that can be great for the rooms you use for entertaining and receiving guests. One of the best windows for this purpose is the picture window. Picture windows are large panel windows whose only purpose is to provide a view outside from within the home. While this window won’t provide that much in terms of ventilation, it’s a great option for living rooms. It ensures that the room gets enough natural light, which helps set a cheerful, peaceful environment. And if the view is good enough, it can also go a long way towards setting the mood. A bay window is one of the best replacement windows to consider for a room that’s designed for receiving guests. The design of a bay window lets in enough light and ventilation as needed. It also creates an alcove that can be used for a variety of purposes. Perhaps the most inviting thing about bay windows is its design. A large bay window can create a space that bathes the room with plenty of light during the day, while the side panels could be made with either casement or double-hung windows to improve ventilation. The ledge created by the alcove can be used as additional seating or for decoration, if the bay window is smaller. These are just like bay windows, except there are more panels than the bay window, and the alcove is more circular than it is angular. As a window replacement, bow windows are great in big rooms that need plenty of light and ventilation. This makes it perfect for entertaining guests. Smaller bow windows can frame the back of a sofa or table and serve as a source of natural light for smaller rooms. A bigger bow window, on the other hand, can cover an entire wall of a room and provide plenty of light for when you are entertaining a large number of guests. 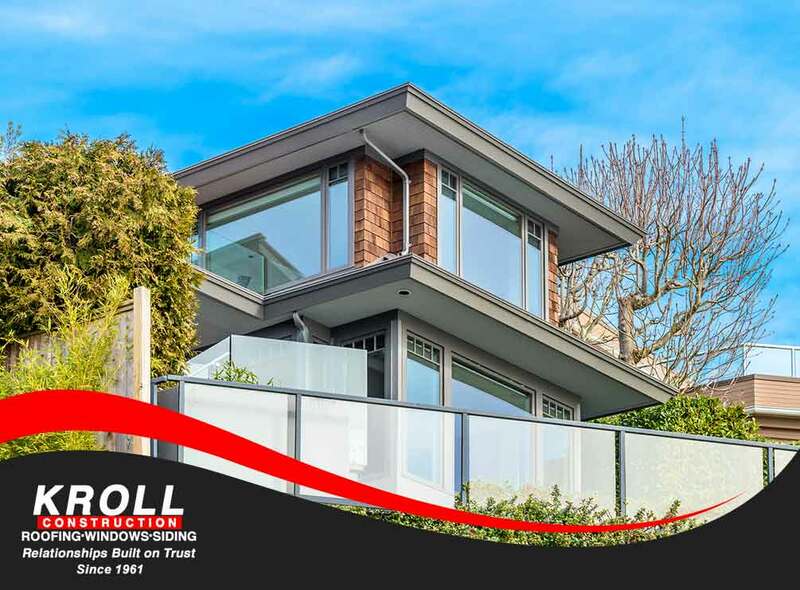 Ask the experts at Kroll Construction about the best kind of window for entertaining guests. Our specialists can help you figure out the best window style for your room. You can find out more by calling (844) 688-9632 or by filling out this form. We serve residents of Michigan.